The albatross is also threatened by lead paint from the abandoned US military buildings. As with the plastic, the chicks eat the paint chips. If they eat enough, they’ll develop a condition called droop wing. The wings flop to the sides, and the fledgling chick can never fly. It starves to death where it was born. 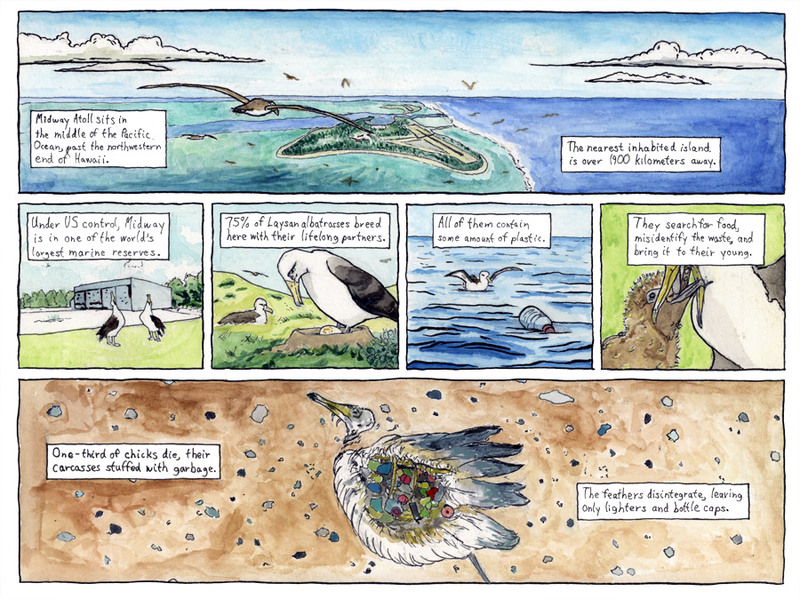 Despite the poisoning of their environment, the population of the Laysan albatross is stable. i lived on midway…….and it is one of the greatest memories of my life. but i never saw the babies dead from the plastic waste. i am glad i did not see such horror. was the ocean not so polluted in 1977-78, or what? long live the life of midway atoll!